*Article updated, Monday 9/10/18 to reflect a change in the type of food served, The City Menus apologizes for the error. A new chef inspired restaurant with fresh and seasonal food is one of two new restaurants headed to Newnan’s downtown in the near future. 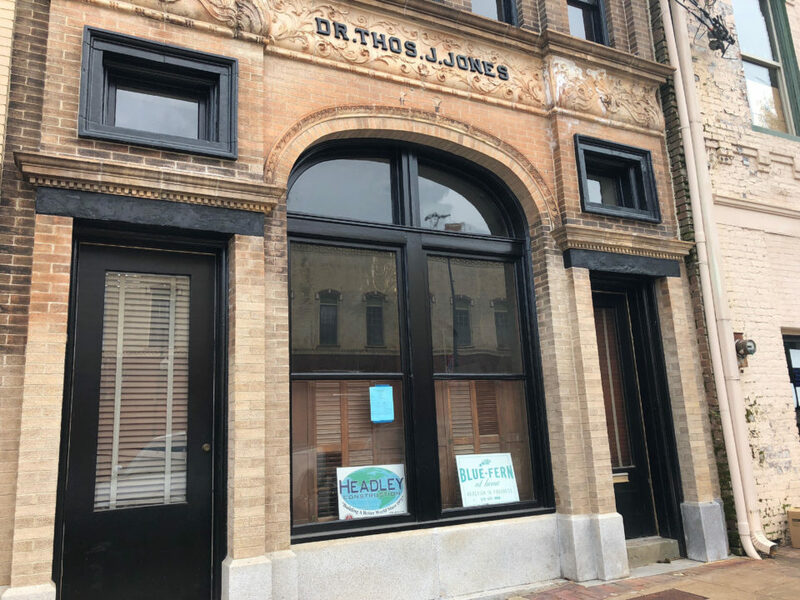 According to city officials, the space at 3 East Broad Street is slated to become a restaurant on the lower level with apartment living units on the second-floor. Lori Duncan, owner of Blue Fern Merchant, is helping with decorating the interior of the restaurant, which will be located at the former home of Maritime Sales & Leasing, Inc.
Duncan is a host on L&K Unscripted, a regular radio broadcast that can be heard on iHeartRadio/Magic 98.1 and iHeartRadio/720 The Voice. The show features up and coming entrepreneurs, restauranteurs, and community leaders as well as more established figures in the local and national arenas. Visit their Facebook page here for more information. Duncan shared that the restaurant will likely have an opening date in the first few months of 2019. Duncan said The Orphan will not be a typical restaurant which would seek a high rate of guest turnover, but instead invite its customers to dine and relax for as long as they desire. Duncan noted that the restaurant will likely only seat around 30 guests at a time and will be focused on an exclusive dining atmosphere. “We’re very excited about it because it’s going to be something with a totally different feel to it,” said Duncan.